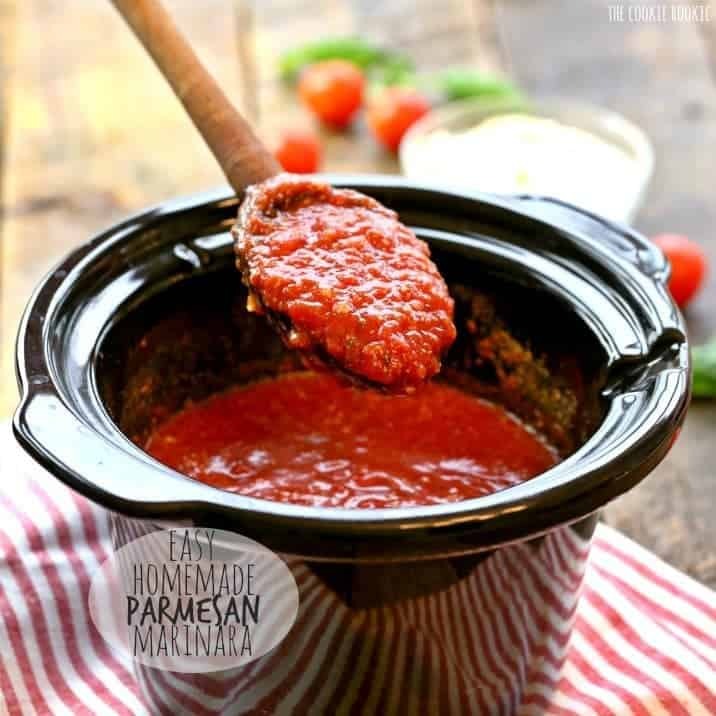 Home » Recipes » Dip Recipes, Dressings + Sauces » Homemade Parmesan Marinara + Superbowl Snacks with Farm Rich! 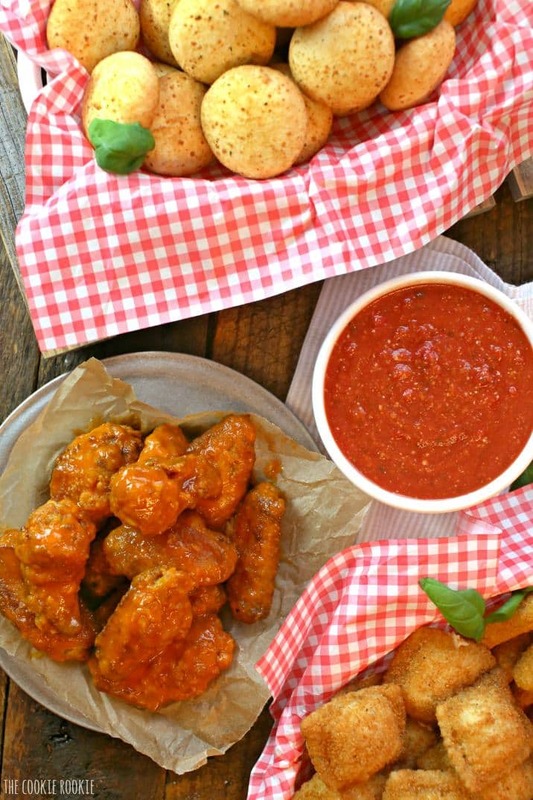 Gameday entertaining is super simple and delicious with Farm Rich snacks and EASY Homemade Parmesan Marinara! I’m sure you all have noticed if you follow me on Instagram, but we are in full Superbowl Prep around here!! Pat is a huge football fan, and by that I mean that he wastes WAYYY too much money playing fantasy football. Which means we have to watch each and every game throughout the season. It’s a bit…terrible. I love football when I’m watching my teams…but not when we are watching each and every game. And then discussing players stats. And then talking about point totals for fantasy games. We are still kinda newlyweds, so I feel like I have to play along. All of it is worth it when the Superbowl rolls around. 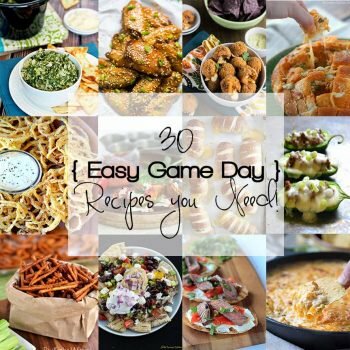 Not because of the game…but because of the FOOD!! And the commercials. Let’s not forget the commercials! 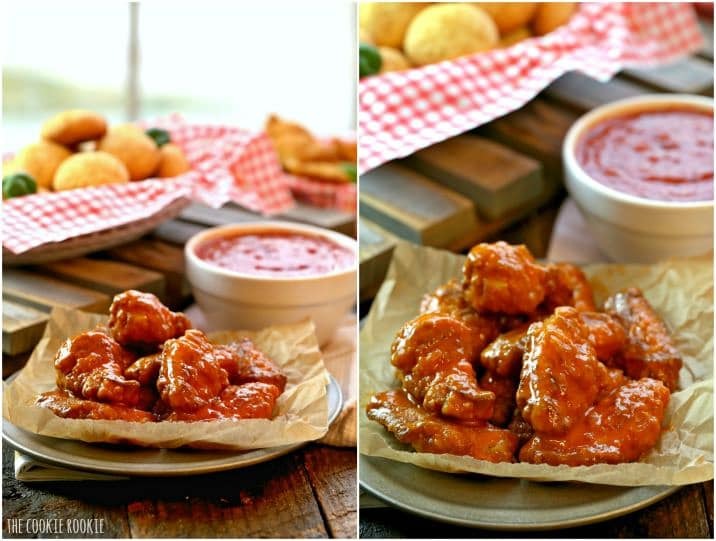 This year I teamed up with Farm Rich to outfit the ultimate Superbowl party!! If I want to make Pat super happy for the Superbowl…I make him fried foods. 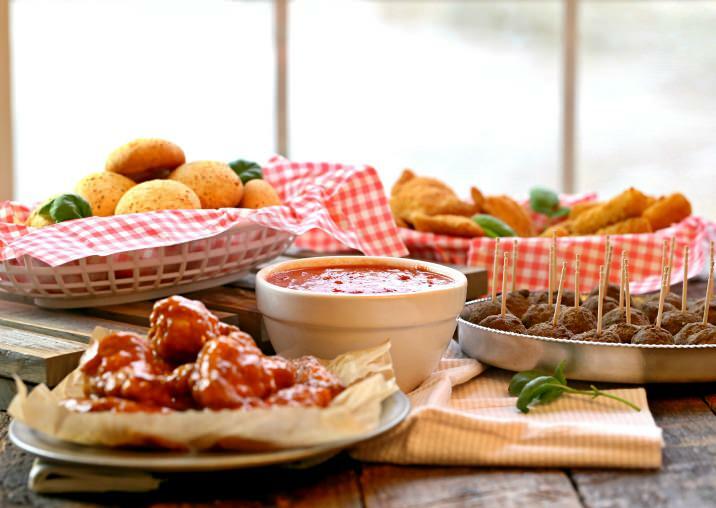 Farm Rich literally has everything you need for a fun and festive party, and does all of the work for you. I love making homemade things, but Farm Rich is so perfect when you still want your food to be delicious and crave-worthy but time is an issue. 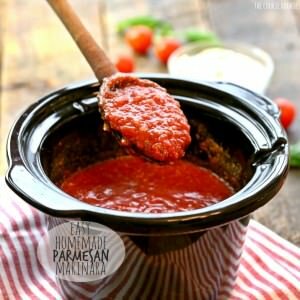 I made a quick and SO EASY Homemade Parmesan Marinara to pair with all of the goodies. Pat was one very happy camper! 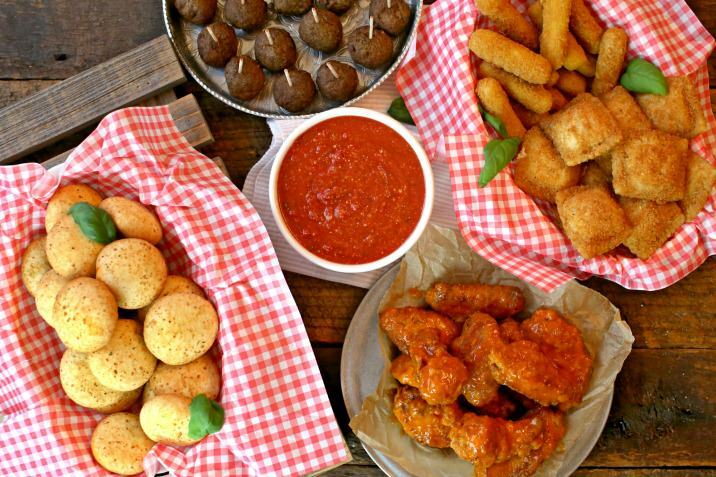 I hope you have a great Superbowl party full of awesome with drinks and Homemade Parmesan Marinara + Superbowl Snacks with Farm Rich!. 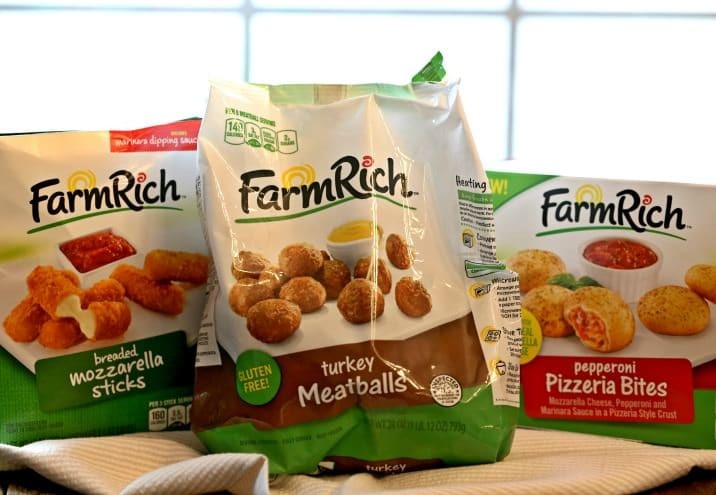 Be sure to check out other Farm Rich products by clicking HERE. 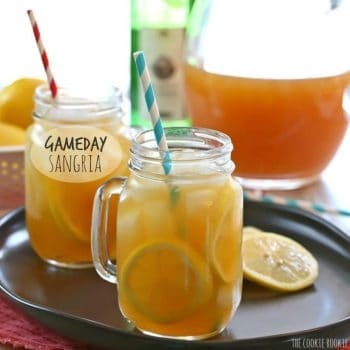 Football season is almost behind us, and we will all see more of the men in our lives!! Let’s chow down and celebrate! Enjoy! 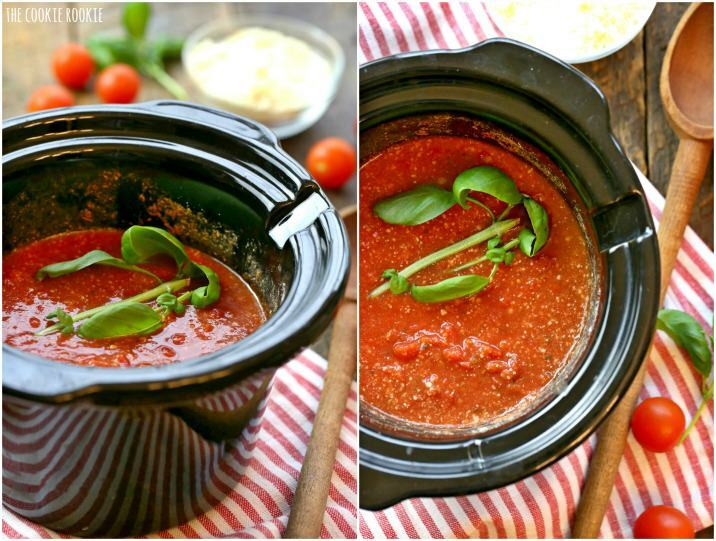 Place the tomatoes, parmesan, and garlic in a slow cooker and stir to combine. Place the basil on top, leaving the stem on because you'll remove later. Heat on high for 1-2 hours, until thickness is to your liking. Stir and reduce to low until serving. 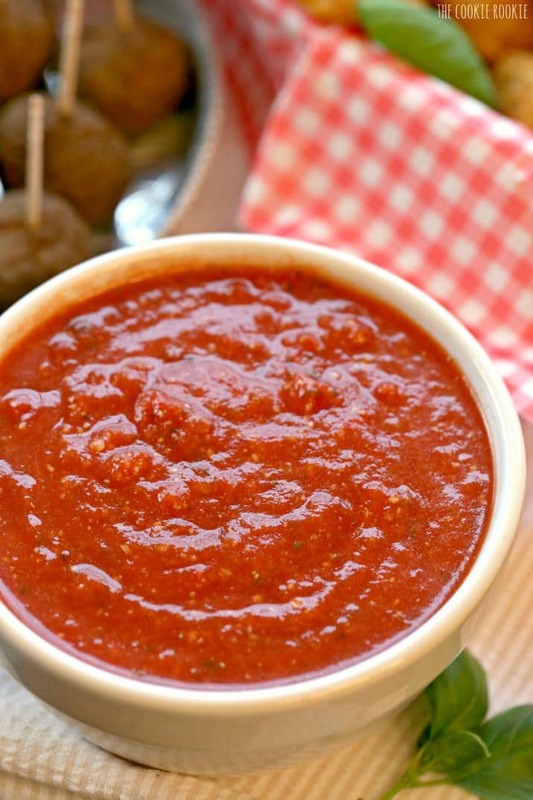 Use as dipping sauce or pasta sauce. Enjoy! Another great idea, Bec, and your photos are fantastic. I need to do this! We go through so much of it. I know, we do too! I hope you love it!